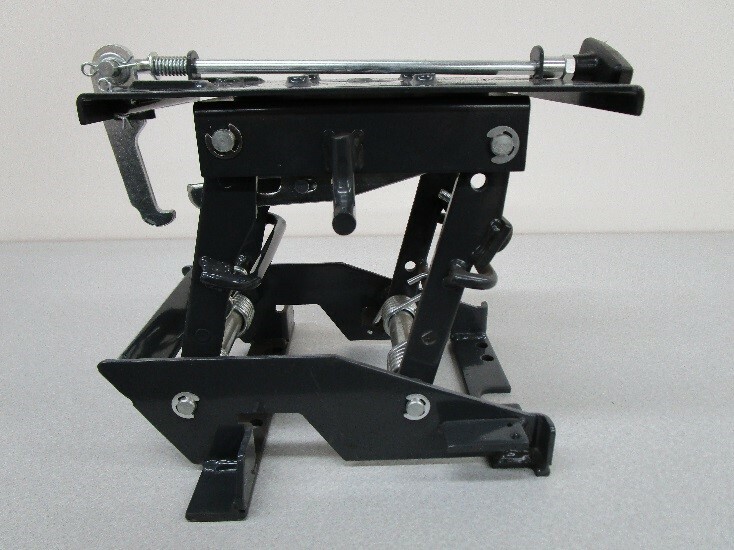 As a leader in the agriculture industry, we recently approached Cedar Lake Engineering to help us manufacture and redesign our seat assembly and eliminate the quality problems we were having with another supplier. The problem was the quality and cost of our product. Our team of engineers met with Cedar Lake Engineering. They immediately began their assessment of the product and searched for areas of improved design. Their hands-on approach to understanding our needs reassured us that they were the best partner and manufacturer to produce this product while achieving our goals of reducing the cost and increase the product quality. Solution: Implement a process to ensure the highest quality parts throughout the Metal Stamping, Laser Cutting, Machining, and Assembly Processes. Through closer examination, Cedar Lake engineering observed that one of the parts could be reengineered using metal stamping and forming which eliminated unneeded steps and parts. This change increases the overall quality and strength of our product and eliminated the need for additional welding as well as producing separate parts. Cedar Lake Engineering helped us achieve an 8% cost down with this change while increasing the quality of our product. With our cost 8% below our goal, Cedar Lake Engineering continued to search for ways to reduce our costs. Cedar Lake Engineering approached us again after the first production run with another cost saving idea. They presented us with the idea of having them fully assemble the product in-house to ensure the highest quality and unwanted costs from other suppliers. With Cedar Lake Engineering’s production and assembly team we were able to reduce costs by an additional 12%. We were also able to reduce our in-house inventory as well as lead times by utilizing Cedar Lake Engineering’s min/max stocking program. We were able to reduce our inventory numbers from 4 weeks of inventory to 2 days of inventory at all times. Processes Used: Cedar Lake Engineering utilized metal stamping, laser cutting, robotic welding, CNC Machining, Metal Finishing, and inventory stocking program. With an in-house production assembly team, Cedar Lake Engineering was able to eliminate waste with their creative design assembly. Cedar Lake Engineering was able to improve product quality while reducing our costs. Why choose Cedar Lake Engineering? Cedar Lake Engineering is a true partner. They will work with you one on one to understand your needs and help achieve your manufacturing goals. Cedar Lake Engineering specializes in Metal Stamping, Metal Forming, Laser Cutting, CNC Machining, Engineering, Assembly Production, and more.